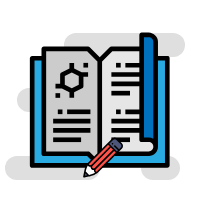 One of the most challenging aspects of preparing your manuscript is deciding which format your research findings should be presented in. How should you decide whether your research data is best presented through tables, figures, or text? 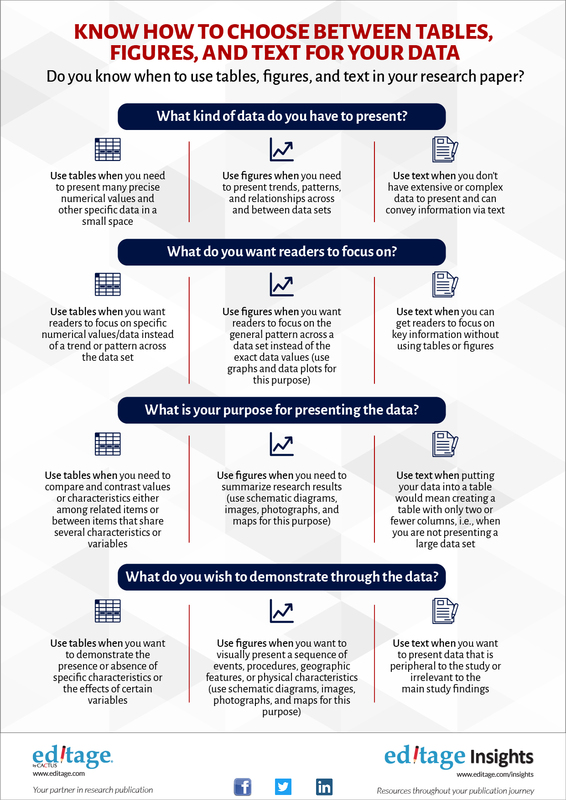 This infographic contains quick tips and questions you should ask yourself about the nature of the data you wish to present, while preparing your manuscript. It will help you make a more informed decision. Feel free to download a PDF version of the infographic and use it as a handy reference.